NOTE: Attaches to the OEM front bumper with 3M double sided tape and self tapping screws to the bottom. 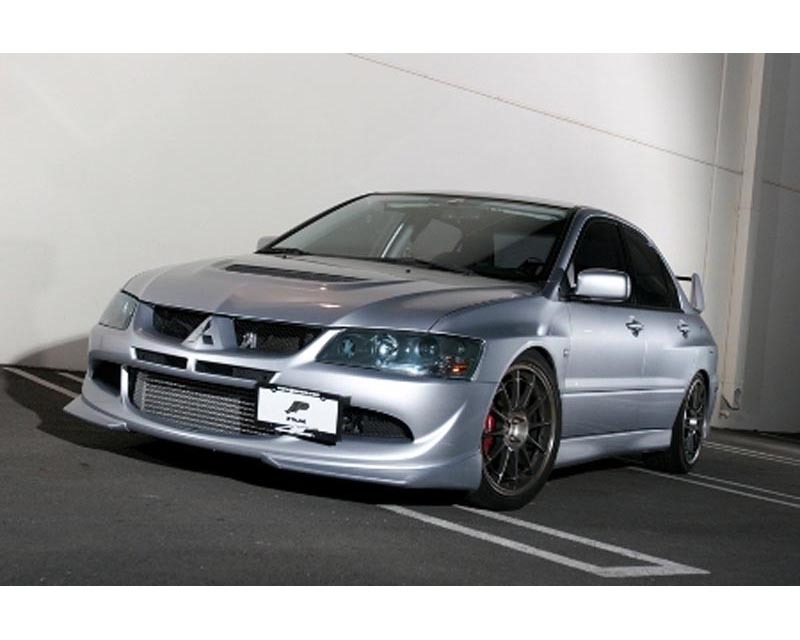 Desinged to match Mitsubishi EVO 8 OEM side skirts and OEM rear bumper. 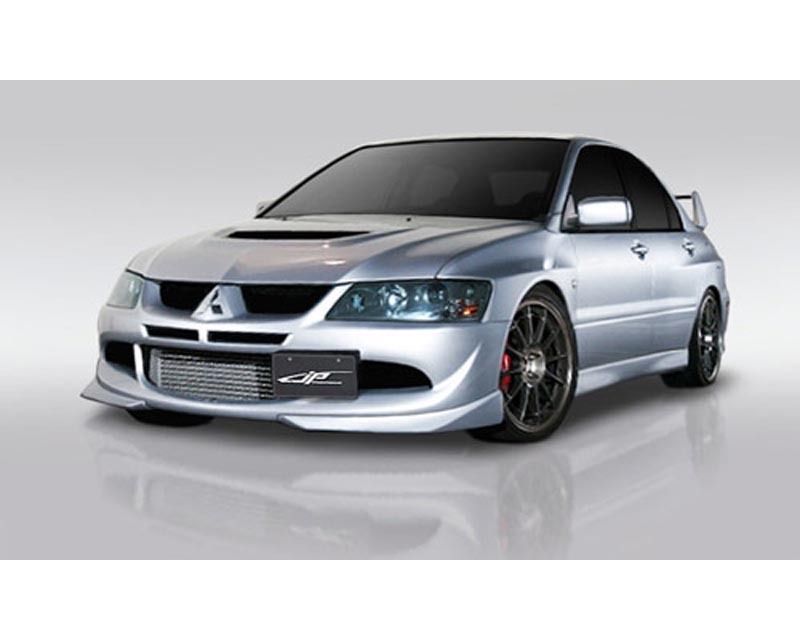 Will NOT fit on MR or EVO9 models.